Lady Ellendeanne from Wolsung Skrimish Game ready! Finally in Europe. First I’ve been in Madrid for 6 days in Ibis Budget Hotel. Ibis is almost second home for me – I was using Ibis Hotels network so many times and the decor of the room everywhere is the same. You feel kind of relief, when you enter the room, wherever you are it’s similar – like I wrote second home:). Just few days there and we were headed to Warsaw. 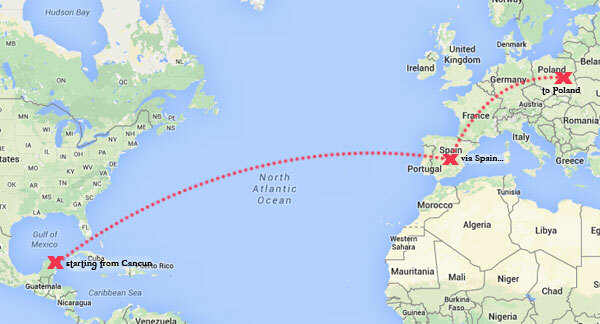 From Cancun, Mexico via Madrid to Warsaw. What’s the best in Ibis Hotel, the light in the room is perfect for painting miniatures. During the day – big window, so the room is floodlit with sunlight. And the evening – finally some accurate lamp over the desk. It was perfect prelude to my stay in Poland, where I finally can arrange most optimal conditions. I hadn’t much time to paint last week – I never been in Madrid before, so beside work – me and my wife decided to do some sightseeing. Of course it was perfect excuse to visit two wargaming stores there (about this – next time). Ok, but right now, with some slight delay, I’d like to show my recent painting accomplishment. 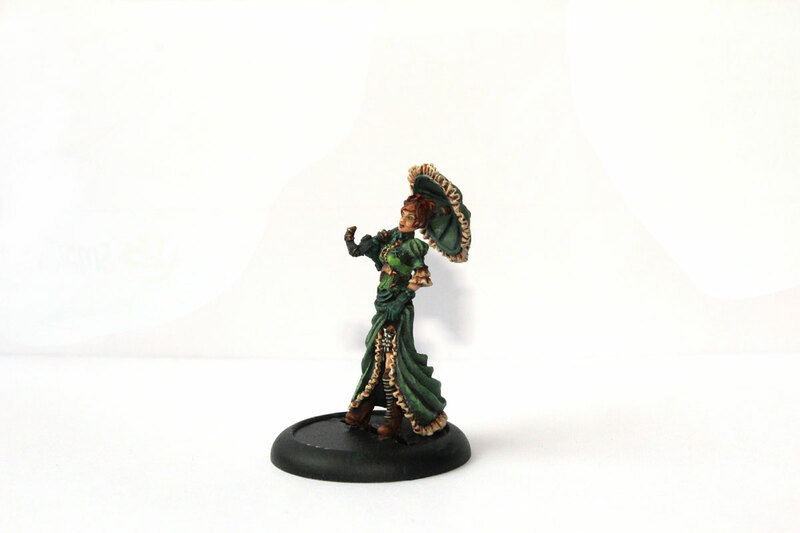 Lady Ellendeanne from Wolsung Skirmish Game by Micro Art Studio. I really love Wolsung miniatures. Steampunk/fantasy/Victorian – maybe not very original or unique idea for the game but absolutely brilliant metal sculptures – top quality, lots of details and awesome projects. The game itself seems to not have great popularity (at least in Poland and comparing to major games) – personally I haven’t even any occasion to play Wolsung. I’m not even sure if there are any players around in my home town or I don’t know any rules, but when I stumble upon those miniatures in the internet – I was immediately hooked. They look super awesome! No matter the background and game schematics – I fell in love with minis right away. 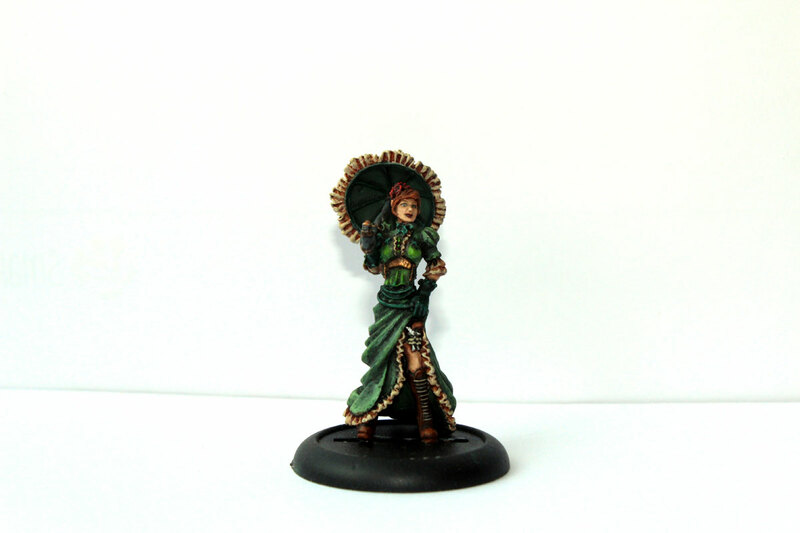 That’s what I missed in my collection – nice steampunk models and something more Victorian than Malifaux. Add the fact that Micro Art Studio is from Poland – and filled with national pride I made my first order. Wolsung Skirmish Game is located in mysterious city of Lyonesse, during the age of industrial revolution. Mixture of many races like orcs, elves, ogres with a touch of magic and steam power. Cool! I owe right now few minis from Ash and Oak faction and from Triad of Lotus Dragon. Lady Ellendeanne, Wolsung Skirmish Game. To be honest Lady E. is not much painting work, and I should have finished her about 2 weeks ago, but first I had some break from work – 5 days vacations in Belize, and I was more focused on drinking cheap rum with coke and excursions, than painting (every man has his weaknesses – mine is rum;). And second my only remaining flesh paint was almost over. Citadel Kislev Flesh become so dense, that I was forced to watered it few times already. When it comes to Skavens, I had no issues here – their faces are large and long, and details are quite easy to paint. Large red eyes and long sharp teeth. Easy peezy. Wolsung Minitures are more difficult task. Especially such beautiful smooth Victorian face of Lady Ellendeanne. Narrow lips, small eyes (necessity of painting pupils and iris), Eye Bows . Wow! Hard, considering I haven’t paint girl’s faces for ages. And, what happened additionally? With thick, watered Kislev Flesh – it became impossible. To many details on face and hair, but what was more frightening – my thin detail brush was total mess (one again – for Skavens it was enough, not for the lady), so I needed to wait when I arrive to Europe. Ok. Right now, I finally have finished her – green dress, with light beige additions. I was thinking to paint blonde hair, but I wasn’t sure If I could made it adequate , that I would be happy with the effect – so she has brown. 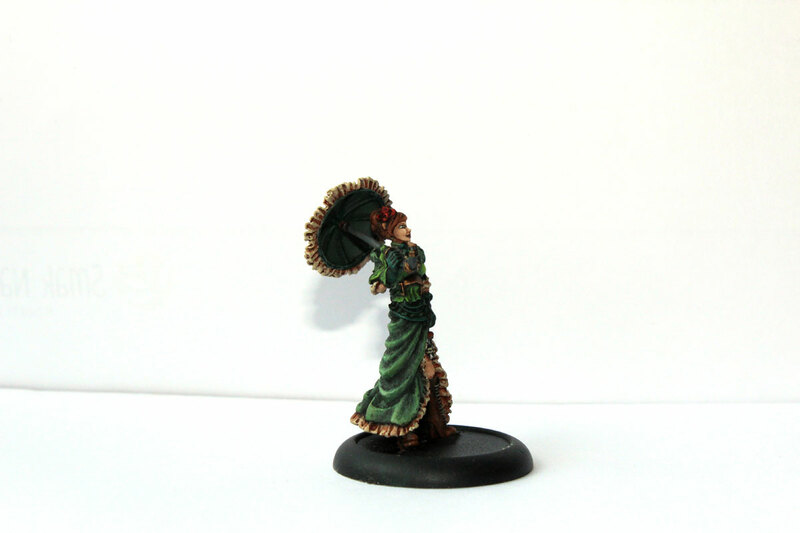 order some bases for Lady E. and other Wolsung minis from Micro Art Studio. I’m thinking about cobblestone bases – look like proper choice for steampunk XIX century game. to complete whole faction of Ash and Oak and finally play the game! For God’s sake, it’s looks so awesome, I need to give it a try! PS. In Poland right now. There will be not too much travelling right now ( for 5 months), but I’m planning to visit some other European countries. I will have more time for painting/gaming though, so… new posts will come for sure. And finish those neverending Skavens ( just 20 to go)! EDIT 16/05/2015: I’ve updated photos. The afternoon I’ve taken photos of Lady Ellendeanne for the first time, light was horrible. I couldn’t shoot it properly – but I was so anxious to post this. My photo expectations got really low, and I Messed up a little. When I saw the pictures the very next day – I thought – wow, what a crap. I knew I need to change them. So, here it is – little photo update. (and I need to be more careful with taking nice, focused pictures next time…. and finally get the light box!). Very nicely done. Like it!